At the third time of asking Mohamed Salah got the goal that set a record in a 38-match Premier League season. Salah's 32nd goal of the season came at home to Brighton & Hove Albion and took the Liverpool forward ahead of the record of 31 that had been scored by Alan Shearer, Cristiano Ronaldo and Luis Suarez. 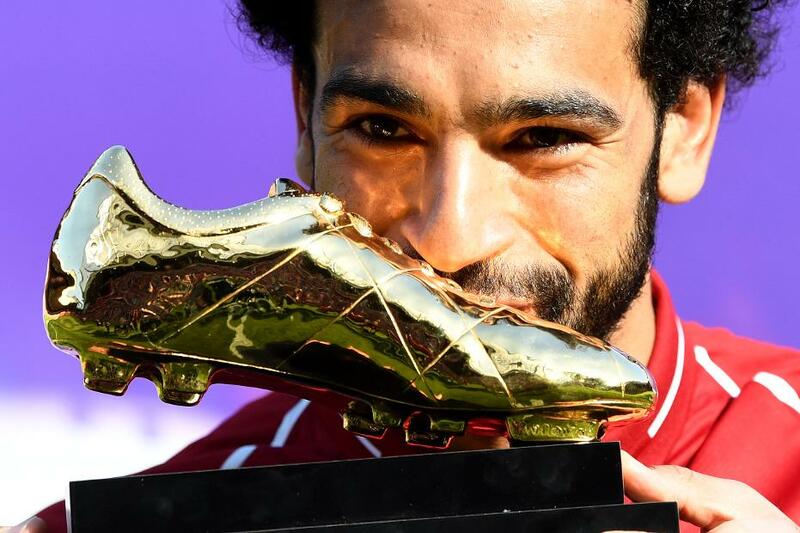 The Egyptian also claimed the Premier League Golden Boot for the first time. He went into the match three goals ahead of Harry Kane and the Tottenham Hotspur striker closed that to two when he scored against Leicester City. Salah restored his three-goal lead with his strike at Anfield and, although Kane got another, that was end of the goals by the pair. "This is very special," Salah told Sky Sports after he received his Golden Boot trophy from Justin Tasarla, the winner of a competition by Cadbury, who presents the award. "It's always in my mind to help the team to win games. Now we are in the Champions League next year and I have won the award, so I am very proud. "I am trying to improve every year so I am very happy. It's special to break the record here." Asked whether he could do it again next season he said, "Yes" with a big smile on his face. By scoring against Brighton, another record fell to Salah. The Seagulls were the 17th different opponent who Salah had scored against this season. He equalled the record set by by four other players in a single Premier League season: Andrew Cole (1993/94), Shearer (1994/95), Ian Wright (1996/97) and Robin van Persie (2011/12).